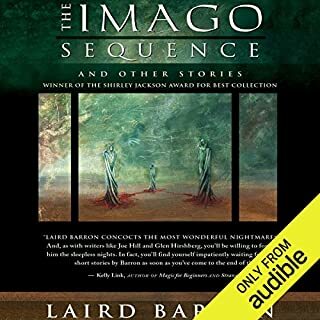 The title story of this collection - a devilishly ironic riff on H. P. Lovecraft's "Pickman's Model" - was nominated for a World Fantasy Award, while "Probiscus" was nominated for an International Horror Guild award and reprinted in The Year's Best Fantasy and Horror 19. In addition to his previously published work, this collection contains an original story. Pitting ordinary men and women against a carnivorous, chaotic cosmos, Occultation's eight tales of terror (two never before published) include the Theodore Sturgeon and Shirley Jackson Award-nominated story "The Forest" and Shirley Jackson Award nominee "The Lagerstatte." The Nameless Dark debuts a major new voice in contemporary weird fiction. 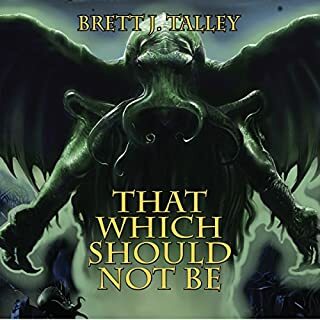 Within these minutes, you'll find whispers of the familiar ghosts of the classic pulps - Lovecraft, Bradbury, Smith - blended with Grau's uniquely macabre, witty storytelling, securing his place at the table amid this current Renaissance of literary horror. Strange things exist on the periphery of our existence, haunting us from the darkness looming beyond our firelight. Black magic, weird cults, and worse things loom in the shadows. The Children of Old Leech have been with us from time immemorial. And they love us.... Donald Miller, geologist and academic, has walked along the edge of a chasm for most of his nearly 80 years, leading a charmed life between endearing absent-mindedness and sanity-shattering realization. Now, all things must converge. Lovecraft's bestiary of gods has had a major influence on the horror scene from the time these sacred names were first evoked. Cthulhu, Azathoth, Nyarlathotep, Yog-Sothoth - this pantheon of the horrific calls to mind the very worst of cosmic nightmares and the very darkest signs of human nature. The Gods of H.P. 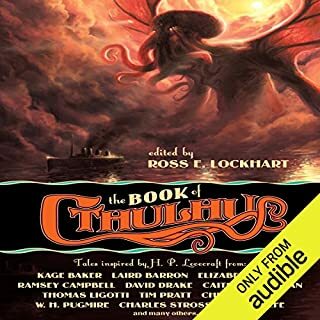 Lovecraft brings together 12 all-new Mythos tales from: Cthulhu (Adam Nevill) , Yog-Sothoth (Martha Wells), Azathoth (Laird Barron) , Nyarlathotep (Bentley Little), Shub-Niggurath (David Liss), Tsathoggua (Brett Talley), The Mi-Go (Christopher Golden and James A. Moore); Night-gaunts (Jonathan Maberry); Elder Things (Joe Lansdale); Great Race (Rachel Caine); Yig (Douglas Wynne); and The Deep Ones (Seanan McGuire). A fine serving of really frightening stories with scary, disgusting monsters. True to the Cthulhu Mythos of H. P. Lovecraft, it's spiked with moments of absolute wonder & even wry humor. 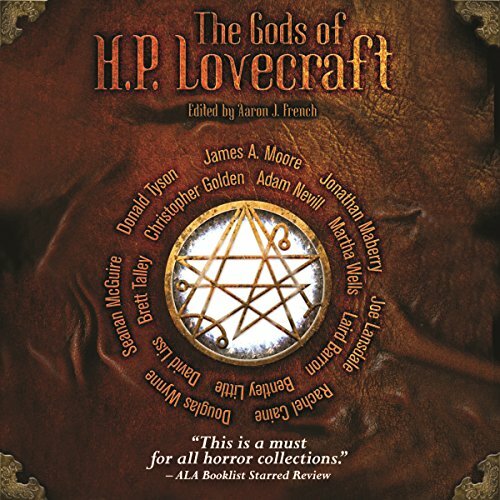 What other book might you compare The Gods of H. P. Lovecraft to and why? The best part about "The Gods of H.P. Lovecraft" is that it's not the one-note unrelenting brain-breaking horror that some other anthologies have done. "The Gods of H.P. Lovecraft" opens up to the wonder and beauty Lovecraft wrote about in his "Dream Cycle" books as well. Which character – as performed by David Stifel – was your favorite? He's very a talented reader. He knows how to not "over act" or get in the way of the book. I am a fan. However, his many mispronunciations were strangely not the extremely difficult-to-pronounce alien words of the Cthulhu mythos - it's english that's his bane! I never wanted "The Fungi From Yu Go" to take my brain out of my head and put in it into a metal container and take it to the stars before, but after listening to "The Gods of H.P. Lovecraft", now I think it might be pretty great. Of course, when I first read H.P. Lovecraft, ( …and I drew an ink drawing in my high school Art Class of the horrific brain stealing "Migo" - one of the things that could not be described - and which got much comment when it was displayed up on the wall in the classroom ) I was young and my body was strong and pain-free. Now, I'm an old man with a life-time of martial art's injuries all screaming when I climb out of bed in the morning. I think maybe taking my mind out of this creaking old husk and setting it free to fly across the dark cosmos with Lovecraftian aliens would not be so bad. Huh, interesting. Of course, when I first read H.P. Lovecraft, ( …and created an ink drawing in my high school Art Class of the horrific brain stealing "Migo" - one of the things that could not be described - and which got much comment when it was displayed up on the wall in the classroom ) I was young and my body was strong and pain-free. Now, I'm an old man with a life-time of martial art's injuries all screaming when I climb out of bed in the morning. I think maybe taking my mind out of this creaking old husk and setting it free to fly across the dark cosmos with Lovecraftian aliens would not be so bad. Huh, interesting. Well, be that as it may… The best part about "The Gods of H.P. Lovecraft" is that it's not the one-note unrelenting brain-breaking horror that some other anthologies have done. "The Gods of H.P. Lovecraft" opens up to the wonder and beauty Lovecraft wrote about in his "Dream Cycle" books as well. That's the greatest gift of Lovecraft. Yes, the Universe is far Darker than we know (or can know) and our place in it is very precarious, but, if you can get past that (with your sanity somewhat intact) the Universe is even more beautiful then we know as well. "The Gods of H.P. Lovecraft" has fine helping of real frightening moments and very scary and disgusting monsters. It also has moments of absolute wonder and even wry humor. Everything you could desire in a "Neo-Love-craftian" book. "The Gods of H.P. Lovecraft" is full of good stories with solid plots; beginnings, middles, and ends. Satisfying reading. You dig Lovecraft? Started off very slow with 3 terrible stories. But after that it was very good! The narrator just does a mediocre job. Sounds like johnny cash. But over all pretty good. I would recommend. I was pumped to get some modern twists on cosmic and arcane horror, and had I read the book I would have been satisfied. Quite good for a collection of fan novels. The narration is really good. The stories are varied and interresting. Very good for fan fiction. They cover some more known gods and critters from the lore. I love the way that this book is structured. Each story is preceded by a short description of the elder god that is highlighted in the story. 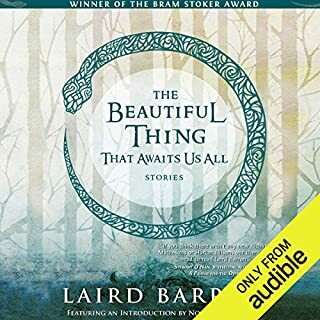 Unfortunately, the narrator sounds like a confused nursing home patient trying to read a medical textbook he found in a dumpster. This collection is not one of a kind, but it's one of the best of it's kind. Each story was wonderful in its own way. For many of the stories the narration added a great deal to the stories. However, the choice to use a single narrator for all stories may have been an error. In a few of the stories the narrator simply didn't fit the narrative for me. His voice is quite unique and for some of the stories I couldn't think of a better voice. That was not universally the case and in a couple stories it really pulled me out of the story. 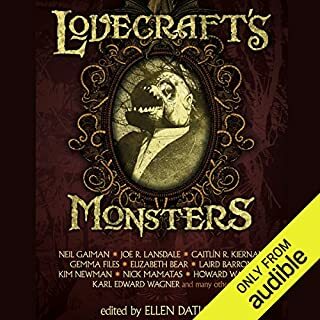 I’m a Lovecraft fan and an admirerer of so many of the authors in this anthology, so I should adore this book. Unfortunately the narrator has terribly annoying voice mannerisms which he cosistantly makes even more distracting by affecting a series of bizzare accents. Sadly, I won’t be listening to this title again. Boring. Inaccurate. Voice actor exhausting. Many of the stories either only involved the gods as a reference or included them far too much. But none of them had a Lovecraftian feel to it - making it hard to enter the mindset to enjoy this book. I've read a lot of Lovecraft. So much of his works and his contemporary's works. But the gods as portrayed here feel wrong. They tried too hard to define them that they tore away at the mystique. Knowing a god's character is not the same as delineating their appearance, powers, thoughts, and weaknesses. That they tried applying such definite structure to them defeats the purpose of the gods. The voice actor was exhausting. He was monotone and I could rarely sense his emotional shifts. He didn't seem to bother to voice different characters differently. Even if I loved a book, I do not think I'll ever purchase an audiobook voiced by the guy that did this one. Narrator is soulless bored and undeserving. Should have tried harder, SHAME. Great authors misrepresented by undeserving under skilled voice actor. 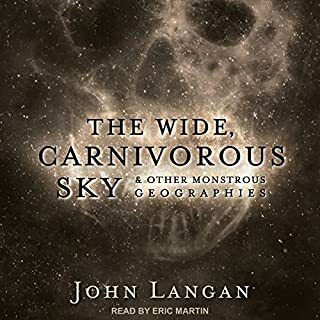 The stories themselves are fine but the narrator sounds like a computer generated voice - uttery monotonous and oddly stilted. To be honest, I think the written version would have been a better choice.